Failure to do so may invalidate the warranty. 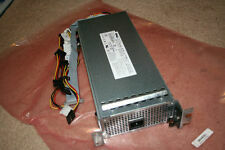 Genuine Dell PowerEdge 1900 Server 800W Power Supply D800P-S0 ND444 ND591 0ND444 Brand: Dell Part Number: ND444 MPN: 0ND444, CN-0ND444, ND591 Model: D800P-S0 Type: Power Supply AC Input: 100-240V~50-60Hz Max. 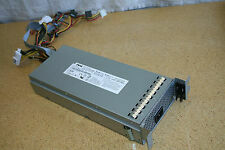 Output Power: 800W Compatible Product Line: PowerEdge Compatible Model: Dell PowerEdge 1900 Condition: Manufacturer Refurbished This item will be shipped exactly as shown in the pictures. P/N : ND444. Compatible Part Number：ND591. Model Number:7001209-Y000. Max Output Power : 800W. Compatible Model:Dell PowerEdge 1900 Server. Give us a chance to make things right for you, we will do our best to provide a satisfying solution for you. P/N :ND591. Compatible Part Number：ND444. Max Output Power : 800W. Compatible Model:Dell PowerEdge 1900 Server. Give us a chance to make things right for you, we will do our best to provide a satisfying solution for you. P/N : ND591 / ND444. Compatible Part Number：ND591. Model Number:7001209-Y000. Max Output Power : 800W. Compatible Model:Dell PowerEdge 1900 Server. Give us a chance to make things right for you,we will do our best to provide a satisfying solution for you. P/N : ND444. Compatible Part Number：ND591. Model Number:7001209-Y000. Dell POWEREDGE 1900 MOTHER BOARD E5345 CPU 4GB RAM HEAT SINK 0TW855 Rev A11. This came from a functioning server. You will need to reapply the heat sink paste before using. Heat sink is included. Shipped with USPS Priority Mail. TESTED WORKS GOOD. We are not responsible for item incompatibility. Dell Poweredge Perc 5i 6i. 100% OEM NEW BATTERY. Cell Material: Lithium-Ion. FR463 P9110 NU209 U8735 XJ547 312-0448. P/N: 0TW855. Mother board mounting plate. 4 sticks of ram equaling 4 gig. P/N : ND444. Compatible Part Number：ND591. Model Number:7001209-Y000. Max Output Power : 800W. Compatible Model:Dell PowerEdge 1900 Server. Give us a chance to make things right for you,we will do our best to provide a satisfying solution for you.